Read all of the instructions and look at the pictures before attaching the holder. The charger unit is fused internally with 2 A automotive re-settable thermal fuse, but if an external fuse is to be installed then connect a 2 A fuse holder and fuse inline with the Red wire close to the power source. Route the cable from the holder into the vehicle dashboard and secure the charger unit in place with the adhesive tape provided. 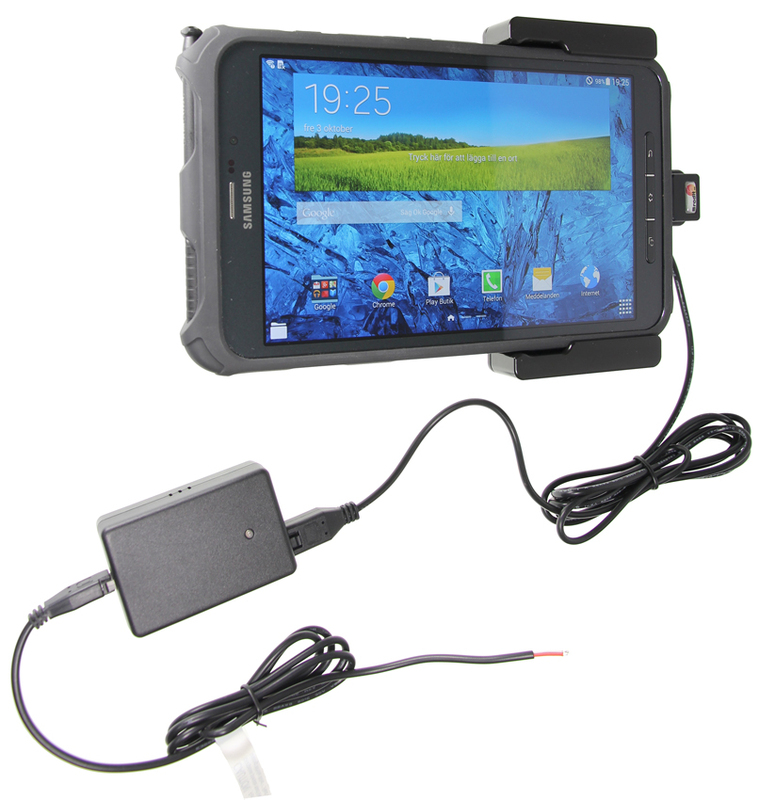 Ensure the charger unit is securely mounted behind the dashboard in a well ventilated area that does not get hot! 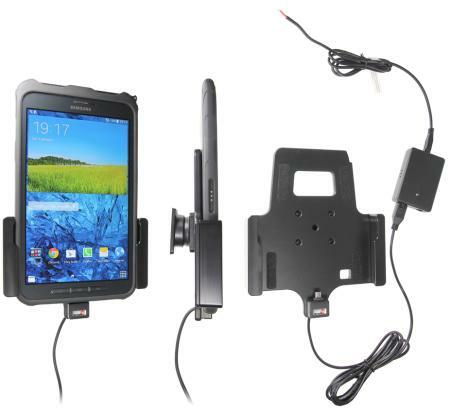 If connecting a GPS/Data device to the holder, ensure the charger unit is located in a position within easy reach of any GPS or charging adapters. Route the power cable from the charger unit to the power supply source in the vehicle and connect as follows: 1. Connect the White wire to a Negative Ground connection of the vehicle or the vehicle chassis. 2. Connect the Red wire to a 12/24 Volt power supply in the vehicle that is controlled by the ignition switch of the vehicle. 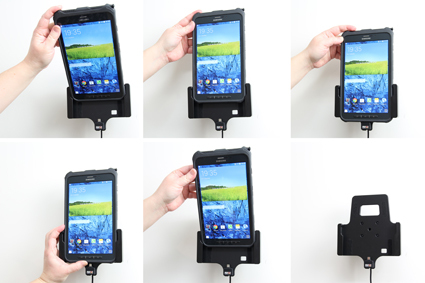 How to mount the holder: 1. Loosen the screw in the center of the holder. 2. 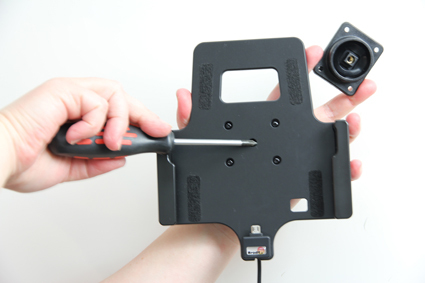 Place the attaching plate onto desired position and screw it into place with the enclosed screws. Place the holder over the attaching plate. Tighten the screw until the holder is firmly in place, but still can be adjusted. 3. 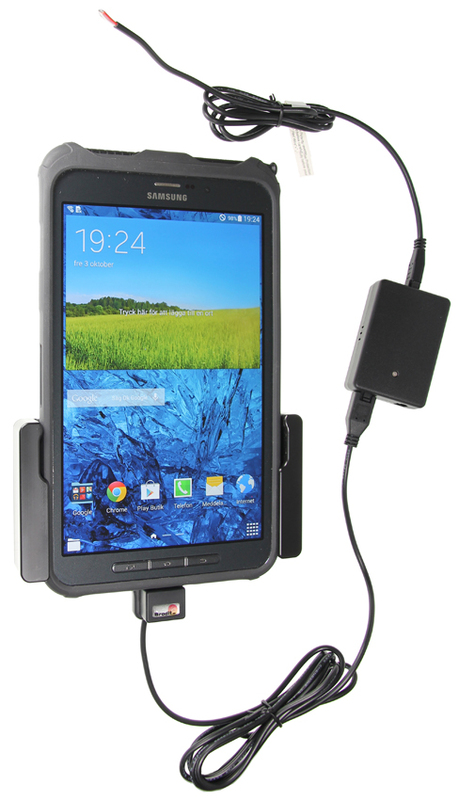 To place device in holder: Hold the device in an angled position, screen facing downwards. Place the lower part into the holder where the opening between the sidewalls is widest. Flip the upper part forward so the device goes flat into the holder. Slide the device straight downward into the holder. 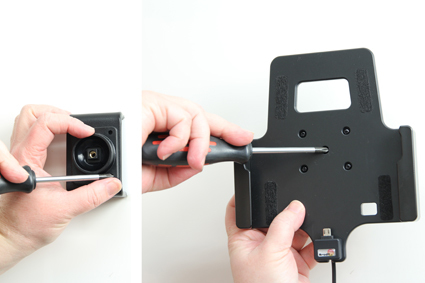 To remove device from holder: Press the device straight upward so the lower part reaches the widest part of the opening between the sidewalls. 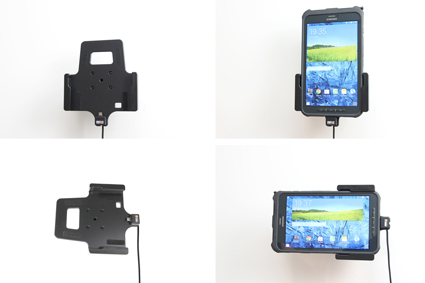 Flip the upper part of the device away from the holder and lift the device out from the holder. 4. The holder is in place.